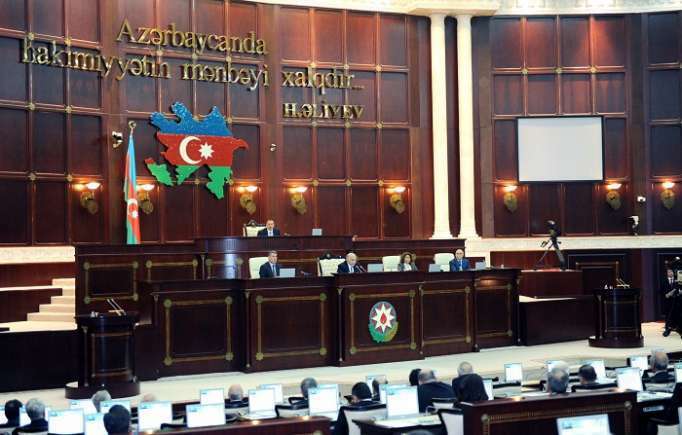 Milli Majlis (Parliament) of Azerbaijan approved the draft law "On free economic zone of Alat" at the regular plenary session May 18. When presenting the draft law, Deputy Chairman of the Parliament, Chairman of the Committee of natural resources, energy and environment Valeh Aleskerov said that the law establishes the legal regime of activity, development and management of the free zone. Aleskerov noted that, the free zone is created by the relevant executive authorities and the legislation of the free zone is in force there. "There are no restrictions on the fact that 100 percent of the authorized capital and investments of legal entities in the free zone belong to foreign legal entities and individuals. Authorized structures, administrative enterprises, legal entities and their employees, residents of the free zone are exempt from all taxes. Customs duties and taxes are not charged for goods and services imported to the free zone," Aleskerov added. He noted that, the free zone creates a customs office for the application of customs rules. The customs office carries out its activities in accordance with the strategic objectives, best international practices and legislation of the free zone. Investors, entrepreneurs, residents of the free zone, legal entities of the free zone and their employees have the right to conduct transactions in any currency, without restrictions. After discussions, the draft law was adopted.